Should Spiritual Warfare Affect our Biblical Methodology in Counseling? Ever since the Fall of Man, humanity has struggled with the operations of the devil. He is our adversary, the god of this world, who blinds the minds of unbelievers (2 Cor. 4:4) and seeks to destroy followers of Christ (1 Pet. 5:8). Satan, along with his demonic forces, have an agenda to hide the truth and love of God. In order to understand the devils agenda, it’s vital to familiarize yourself with what the Bible teaches concerning him and the tactics he commonly uses to deceive humankind. The Bible asserts Satan was the originator of sin. He was a murderer, a liar, all from the beginning (Jn. 8:44; 1 Jn. 3:8). His name comes from the Hebrew word that means adversary–arch enemy of God (Job. 1:6; 1 Chron. 21:1; Zech. 3:1). He has been called other names too–the devil (Matt. 4:1; Rev. 12:9), serpent (Gen. 3:1; 2 Cor. 11:3), Beelzebub (Matt. 10:25; Lk. 11:15), the ruler of this world (Jn. 12:31; 14:30), the prince of the power of the air (Eph. 2:2), and the evil one (1 Jn. 2:13). He was once a good, angelic creature called Lucifer until iniquity was found in him. He attempted to dethrone God and as a result was kicked out of heaven. Since then, his entire agenda has been to pervert God’s word and make humans question His existence. One might ask, “Is there a difference between unbelievers and believers regarding the activity of the devil?” I believe so. For instance, unbelievers are blinded by the truth and in many cases, don’t even realize they are in a spiritual battle. They may continue sinning and enjoying the pleasures of this world without being convicted. On the other hand, Christians believe their struggle is not against flesh and blood, but against the powers of this dark world and the spiritual forces of evil in the heavenly places (Eph. 6:12). Therefore, it should be evident to every believer that there is a powerful force that seeks to destroy and manipulate. As Christians, it’s imperative to realize the enemy has been defeated by Jesus when He died on the cross for our sins. By his sacrificial death, burial, and resurrection, Satan’s power has become defeated (Col. 2:15; Rev. 12:7), restrained (II Thess. 2:6), and rendered powerless over believers (Heb. 2:14). In fact, the Apostle James tells believers that when they submit to God, the devil will flee from them (Jam. 4:7). These truths should instill confidence and hope to believers since they have overcome the evil one (1 Jn. 2:17) through their relationship with God in Christ. If it is true that spiritual warfare exists, how does one respond to the demonic in the context of counseling? First, there is no biblical reason to think demon possession can occur in the life of a believer. The Holy Spirit who dwells within makes it impossible for an unholy being to torment their thoughts. I find it troubling and dangerous when supposed Christian counselors preoccupy themselves with the occult by casting out demons. Movies like The Exorcism of Emily Rose is a perverted view of biblically based counseling. Furthermore, people may use the demon possessed cop-out to say: “The devil made me do it,” instead of taking personal responsibility for their wrongful behavior. Nevertheless, is it possible for demon possession to occur in the life of an unbeliever? In my opinion, I believe so. The Bible gives scriptural warrant for it. 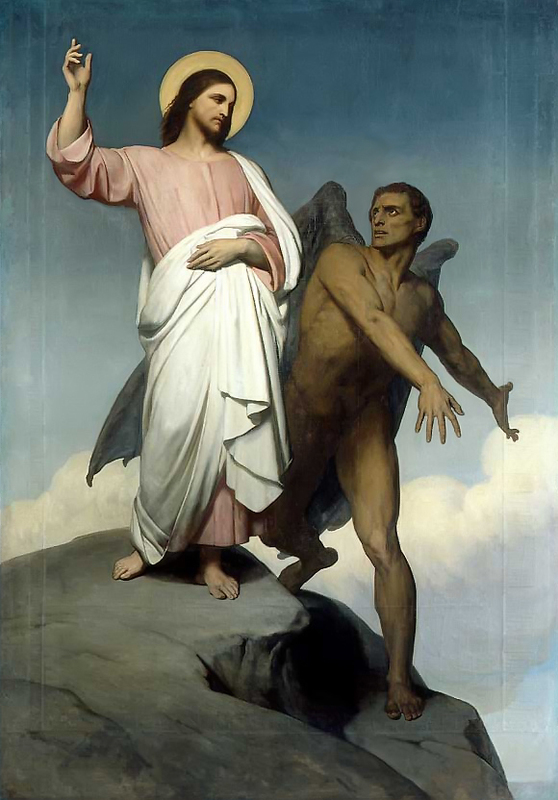 For example, Jesus casted out demons from a man who lived among the tombs in the hill country of Gerasense. Night and day this man would cut himself with stones, he had supernatural strength to break chains, would yell incessantly, and even admitted there were many demon spirits living inside (Mk. 5:1-20). There are several stories like this in the New Testament (Matt. 9:32; Lk. 4:33-36; Lk. 22:3; Acts 16:16-18). Today, there are people who practice witchcraft, delve into the occult, perform satanic rituals, and experiment with hallucinatory drugs; all of these invite unclean spirits into the person. The good news is that when someone comes to faith in Jesus Christ, these unclean spirits are immediately vanquished. If you read about the Gerasene demoniac, it only took a few words from the authority of God for the man to return back to a right mind. Did the Sabbath Change from Saturday to Sunday for Christians?